Welcome to GLOBAL 3D !!! 3D competition pilots registration is closed. If it is good, keep it!! This year we will continue to have a Funfly on Friday and Saturday. Directly after the competion part is done for the day. The Funfly forms will be online shortly. 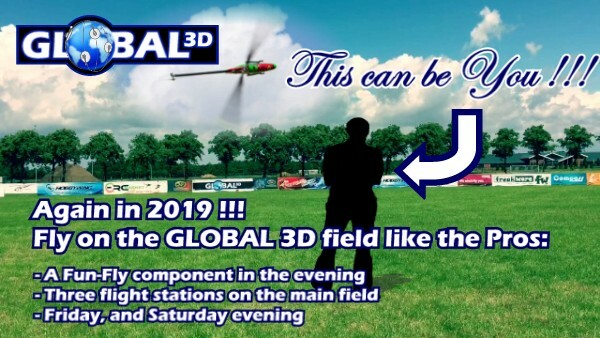 Your chance to fly on THE world stage of 3D! Let's make it another fantastic event !!! !